3rd Tour: What is family? Often when we think of family, we think of our parents, our siblings, or our children, We might even think of aunts, uncles, grandparents, etc. Some like to look for family while others try to deny family. I am one who believes the quote at the top of the page. I consider my family one of life's greatest blessings. However, family can be bigger than relatives, and can be found or created outside of bloodlines. I want to talk about those kinds of families. We were fortunate to belong to such a family as this in Chihuahua. Our family was our neighbours. We celebrated every 'family' holiday together, laughed together and cried together. Now, although we are all spread out, we still remain friends/ family. They held, and still hold, a very special place in my heart and I would never think of travelling through Chihuahua without stopping by. I know that a bed awaits me in one of their homes and a wonderful time. Often there is a calling together of those close by, to drop in, because one of the family has come 'home'. This was a family in the non-traditional sense. We have landed ourselves in such a family once again. This family was already in existence, prior to our arrival, and they just pulled us in. This family is comprised of the socios/members of the gym we attend. We get together to celebrate birthdays, baptisms, first communions, holidays, etc. But although we love to get together to laugh and have fun, we know it is family when the chips are down. If someones loses a loved one, finds themselves sick or hospitalised, or has a need, this group, this family, is there for each other. A very clear example of the extent that this group is a family was seen recently when one of the members had a child who was critically ill in the hospital. Word soon spread amongst the group to pray for this child. Many of us could not even put a face to this person, let alone the child. He needed help and a member of the group stepped in to help, never having met the person. When asked why, he said, 'he's part of the family'. Tonight the 'family' is headed to the funeral home because this young man has passed away. Our 'family' has arranged to all go together to support them. What is family? Family is a group of people that cares for one another. 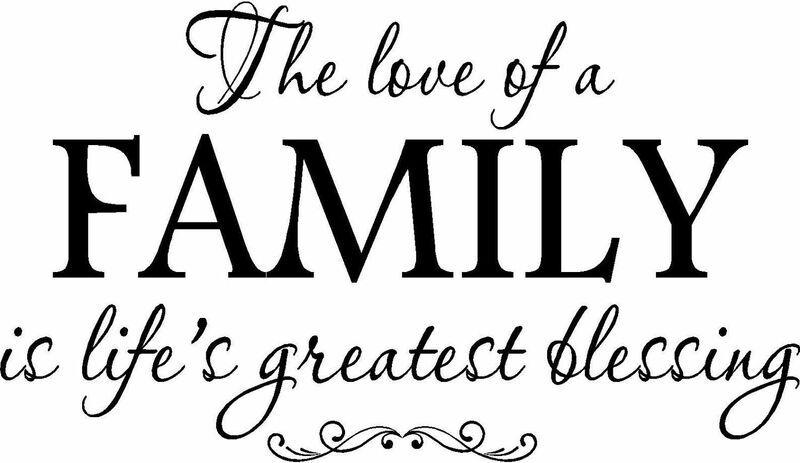 I am blessed to be a part of several families - even 'families' with no blood relation. I have come to understand this better while living in Latin America, where they just include you. They make sure you are connected to a loving and caring group. What I am beginning to see is that, while it is a great honour to be asked to join a family, there are both rights and obligations. I don't know that I have ever been made to feel like I have an obligation but personally I feel a sense of needing to be a contributing member of this family, not just receiving but giving as well. Isn't that exactly how the family of God should be?